Acting Attorney General Matt Whitaker, who replaced Jeff Sessions in a move that may or may not violate the constitution, is embroiled in a scandal that involves scamming people out of millions of dollars and, somehow, a toilet for people with enormous dicks. The company did not create these ridiculous products. In 2017, the Federal Trade Commission charged World Patent Marketing with “deceiving consumers and suppressing complaints about the company by using threats of criminal prosecution against dissatisfied customers.” In May, the company settled a case from the Federal Trade Commission for $26 million in fines. The company is currently under investigation by the FBI. 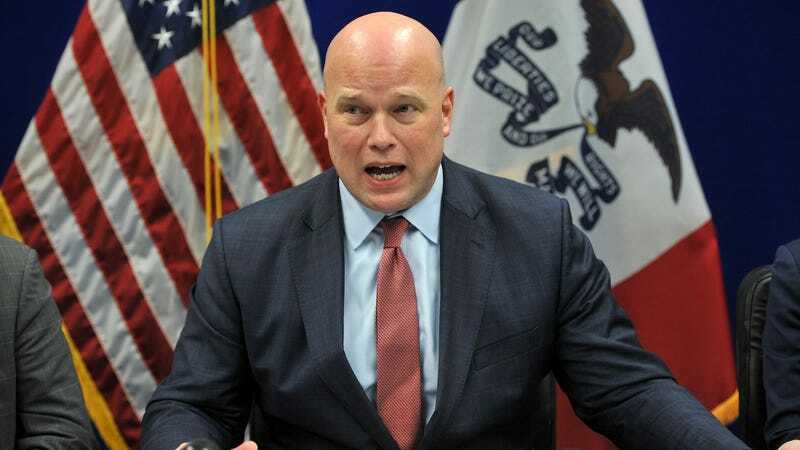 Whitaker, a former U.S. attorney, served on the firm’s advisory board as a legal attack dog, even once threatening potential “serious civil and criminal consequences” against someone who was planning to file a complaint with the Better Business Bureau. He has publicly lauded the organization, appearing in a promotional video for the firm, and stayed on the advisory board long after the company faced fraud allegations. In a letter to Whitaker, four Democrats reponded to the report, saying “serious questions are now arising about your fitness to serve in this position of trust,” and have asked Whitaker to submit relevant documentation around his involvement with the company by November 27.